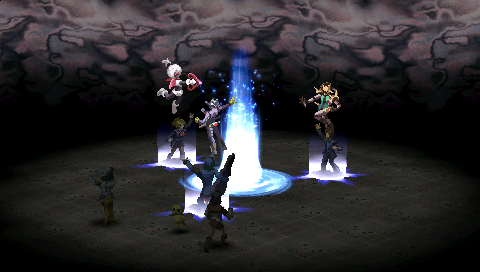 This animation was influenced by Hydro Boost (ハイドロブースト) from Persona 2: Innocent Sin PSP. It’s quite a bit slower paced than what I’m used to playing nowadays, but I hope finish it eventually. 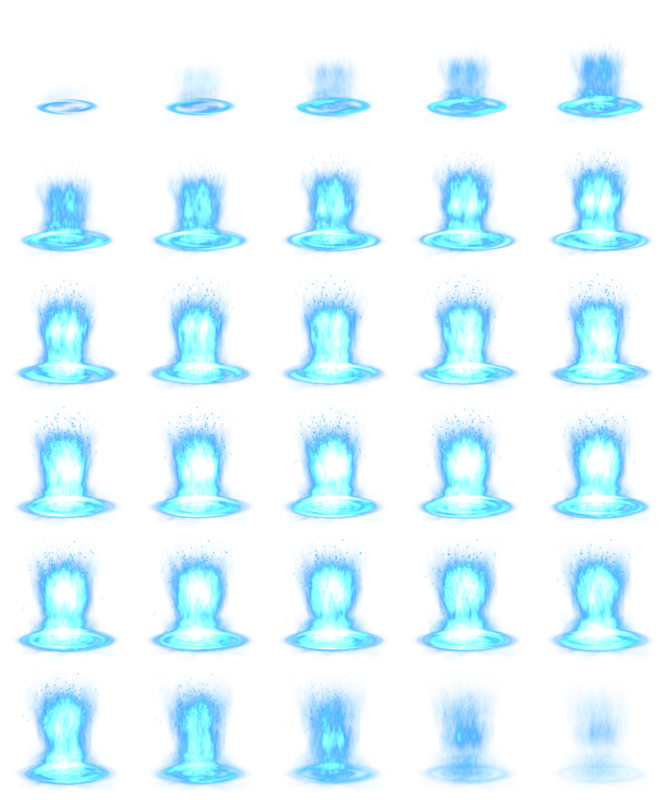 This entry was posted in Animations and tagged animation, rpg maker, water. Bookmark the permalink. Oh oh, finally! Still working with this stuff! You are the best animation creator for RPG Maker ever! I just read comments, and I would like to use animations for in my game I create with Vx Ace. May I use these animations ? First I create a prototype and then I would like to fix the problems and make a commercial game. It’s really good to see you back. Soo, if I make a game with RMXP and not RMVX, whgat permission do I need to get to use your animations? What program did you use to make htis anyway? I thought I’ve seen some similar-styled animation out there, so I thought you people must have used the smae particle rendering program to make it. How can i change the Cast animation with the SDS without kaduki ?. That’s what I’ll call it! Awesome Animation broski. Along with the collection of amazing anim’s you have here. All the animations are awesome. Could you also remake a few Fire Emblem 7 animations? Being inspired by the best game of all times, IMO, to make spell animations that look almost the same it’s pretty awesome and deserves more than a dozen thumps ups for the post and the animation sheet.